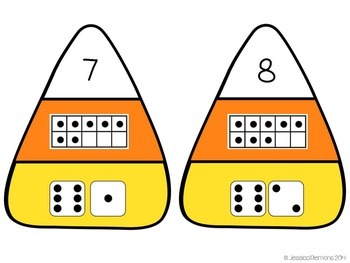 Practice matching numbers in different forms! 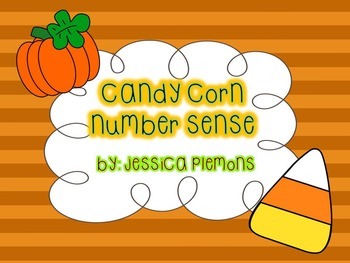 Are you looking for a fun fall center for your students to practice number sense? 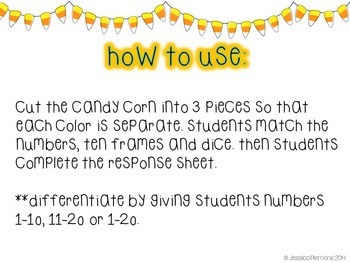 This Candy Corn Match is a simple center with 3 different options for differentiation. Students practice matching the different numbers in written, ten frame, and dice form. 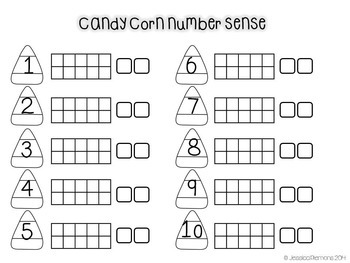 Students can match numbers 1-10, 11-20, or all of the numbers 1-20 depending on their ability.